Private investigators can be an invaluable asset. But, there are limitations to what can be done during private investigations. When people finally decide and say “I need a private investigator,” it’s important to know what an investigator is not able to do. 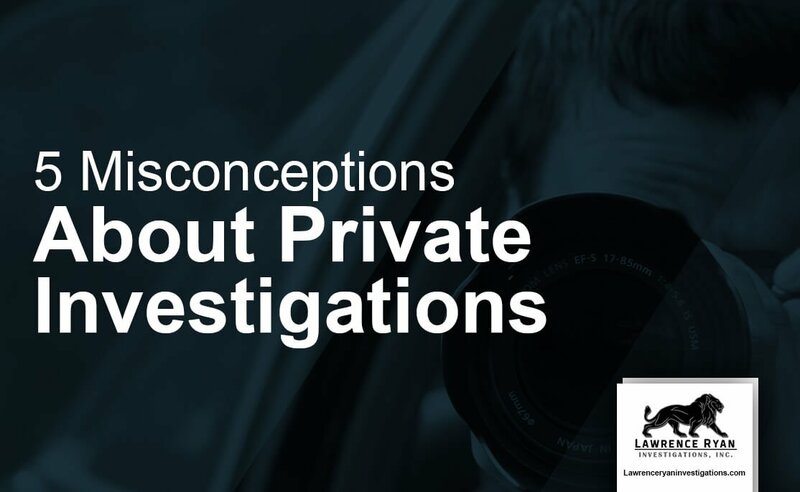 I wanted to share four of the most common misconceptions about a private investigation. Often times people mistakenly believe that Private Investigators have special access to information that even eludes law enforcement. The most common example of this type of request is when people ask If we can obtain cell phone records. PI’s cannot access cell phone records and anyone telling you different is being deceptive. What we can do is run a skip-trace report on a cell phone number and find whose name is on the account (not always the person using the phone) and the address the bill is going to. What we can’t access is the call log, copy of the texts, or most things you would only find on the bill from the carrier. In fact, law enforcement is unable to access this type of information without getting a warrant issued by a judge. It is illegal to gain access to this type of personal data if you are not the one on the account or have permission from the account owner. Anyone offering to do so should be reported. To be clear, if a person owns a phone and has the physical device we can access information from the device itself. For example, you buy your wife or daughter a cell phone and later decide that you want to search the device for hidden or deleted information. We are able to perform these services and you can legally do so as the owner of the phone. Another example of this type of information is credit card logs. This is no different than cell phone logs. Only the owner is allowed to access this information. Law enforcement is only able to do so with a warrant and a judge will only issue a warrant when the subject in question is suspected of crimes that merit these types of records. We can perform utility searches, however, in an effort to locate people by discovering the address at which they are paying utilities. Judges that issue Orders of Protection are quick to prosecute those who attempt to break that order through manipulative tactics such as hiring a third party like a local private investigator to do their bidding. As intuitive as this seems, we are contacted regularly by such individuals fishing for unethical investigators to carry out such tasks. Prospective clients often attempt to pressure us into making false promises. We understand that many of the people that are in need of our services are in emotionally difficult situations; however, it doesn’t do either party any good to lend false hope or make unrealistic promises. Each case is unique and it’s impossible to predict how many hours of surveillance, for example, it will take to catch your employee stealing, your business partner deceiving you, or your spouse cheating on you. 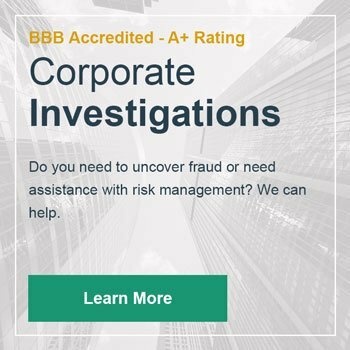 What we can guarantee is that we are extremely adept at what we do and if something is taking place, we will get you the evidence you deserve. Unfortunately, there is no sure-fire way to know when and how that is going to happen. 4.People are often convinced of something unreasonable when the evidence suggests otherwise. Believe it or not, we sometimes gather evidence that suggest that people’s suspicions are wrong. It is nearly impossible for us to say with complete certainty that somebody is not doing something, but there are times it appears as though our client’s belief is not consistent with realty. Case in point, a client wanted a private investigator for cheating spouse and we were hired a couple of years ago by a man who was recently separated from his wife. They entered a phase in which they began to try and work it out, but he was convinced that she was cheating on him with one of her co-workers. I began surveillance on his wife and after six weeks of following her three to four times a week, I found it nearly impossible to believe that she was cheating. I almost always followed her as she got off of work and she almost always went straight home. On the rare occasion that she didn’t go straight home, she went to the grocery store and then went straight home. I spent several hours a week watching the traffic in and out of her house and their son and her sister were the only ones that ever came or went. When I suggested that she may not be cheating, the client demanded that we put in more hours and have two investigators take turns following her. He insisted that she was smarter than us and knew what we were up to. Finally, I explained to the client that there was no evidence that his wife was cheating or even had the opportunity to cheat. As he became more irrational, I refused to work with him further as it would have been unethical of me to continue to accept money from him. The morale of the story is to follow the evidence and listen to the facts regardless of your preconceived ideas. The most common illegal activity we get asked to engage in is installing trackers on people’s cars regardless of who is the registered owner of the vehicle. Illinois State law dictates that a person can only employ or give permission to employ a GPS tracking device on a vehicle in which they are the registered owner. For example, a girlfriend cannot put a tracker on her boyfriend’s car unless she is on the registration. So who is this good for? Employers who want to track the movement of their employees, suspicious spouses, and parents who want to know where their kids are. One loophole that exists in the law is marital property. It has been successfully argued in court that vehicles are marital property. This means that spouses can give permission for PI’s to install GPS trackers on their spouse’s vehicle(s) regardless of whether or not they are on the registration. So any private detective that does not mind slapping a GPS tracker on anyone should be avoided.